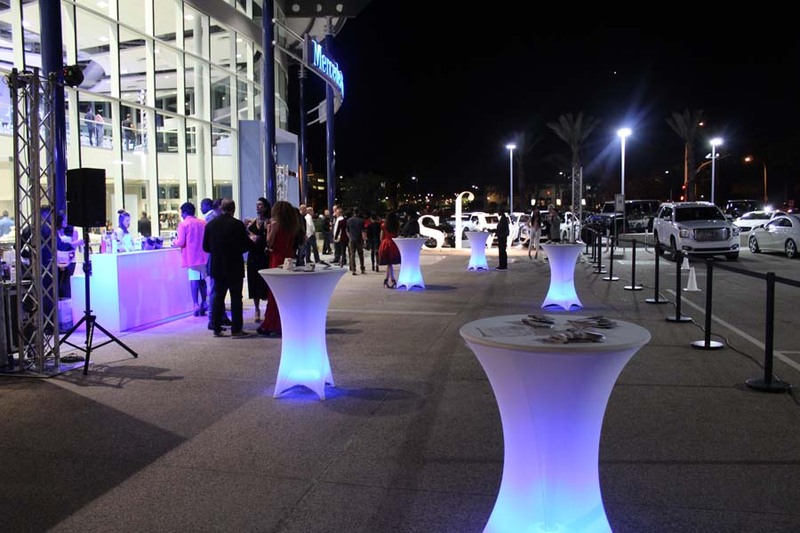 A few days ago, I had attended the opening night of Scottsdale Fashion Week. But folks, this was no ordinary event. The LEGENDARY designer- Dame Zandra Rhodes presented a collection to a packed house at Mercedes-Benz of Scottsdale. I’ve always known of Rhodes’ amazing textile designs and ethereal dresses, and have been in the physical presence of some of her pieces from the 1970s (thanks to a past job in the vintage clothing world). After an introduction by seasoned fashion expert and fashion design curator at the Phoenix Art Museum- Dennita Sewell, the show began. The whimsical pink-haired -“Princess of Punk” showcased over forty looks, which spanned from her AW 16/17 ‘Shimmer and Shine Collection’ and ‘The Archive Collection.’ She reflected back to her archives for her aptly-named ‘The Archive Collection’ where dresses were named after such muses as: Pat Cleveland, Princess Diana, Frida Kahlo, and Donna Summer. Her ‘Shimmer and Shine Collection’ is based on the songket patterns that are found in Malaysia and Indonesia. That collection included wide-legged 70s-inspired pant suites, caftans, skirts, and blouses in shimmery fabrics. Both collections were breathtaking and timeless. Rhodes also included hints of theatrics during the presentation, both of which had me on the edge of my seat, wanting more. Some of the garments were also styled with the designer’s artsy jewelry collection, thus adding to the hodgepodge of color and vibrancy. The highlight of the evening was getting the rare, but fortunate opportunity to meet with Rhodes backstage. She is such a humble and lovely (and uber-talented) woman. What a fantastic event! I love all of the looks! It must have been awesome to be there live! What a fun and unique collection. There was a green almost sheer tribal dress that I just loved! I’m so glad you got to meet Rhodes! That’s amazing! I can see the inspiration behind ‘The Archive Collection’ with the number of idol women mentioned and ‘Shimmer and Shine Collection’ definitely eludes the vibrancy of Malaysia and Indonesia! It looks like a great show and I’m loving Rhodes’ rocking pink hair! Thanks for sharing Heather! What a great opportunity for you to be able to meet Rhodes backstage! Looks like a gorgeous event all around. Wow! I’d love to see those pieces from the 70’s. AMAZING OPPORTUNITY!!!!!!!!! I love her style and her clothes. Scottsdale Fashion Week eh? Cool! I love that a lot of places have fashion weeks!